Get the app that writers trust when they need to focus on their craft. There are plenty of word processors out there that you can use, but they all come with their own baggage. Nisus Writer Pro is a lightweight and powerful tool for writers that provides a perfect workspace for any project. Get it on sale today for 50% off the retail price! 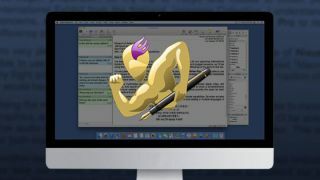 Nisus Writer Pro is an absolutely essential tool for anyone writing on a Mac. This word processor provides everything you need to write the way you want to. It automatically saves your work, makes it available through iCloud, and maintains document versions so you can see your revisions. With RTF support, it can produce documents that can be opened on just about any machine and in any program. You can get Nisus Writer Pro on sale now for just $39 (approx £30). That's a saving of 50% off the retail price for a handy app that makes writing a breeze. Grab this deal today!